Going through a legal matter involving an unexpected injury or arrest can be frightening and confusing. 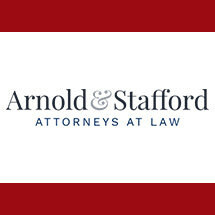 Arnold & Stafford, Attorneys at Law, provides people in Hinesville, Ludowici and Richmond Hill, Georgia, as well as the coastal region, with the support and guidance needed. We know that you have many concerns and questions about your situation. Our law office’s goal is to relieve some of the stress you are going through and help you understand what your options and rights are. Maybe you have been the victim of someone else’s actions in a traffic accident or you suffered a workplace injury. Perhaps you have been arrested and charged with committing a crime or you need help in a military matter such as a court-martial. You may just be in search of legal counsel for a real estate or estate planning issue. Whatever your needs are, our law office attorneys use their combined experience of over 60 years in law, and more than 40 years of military experience, to help you find a workable solution. When we meet with you in a free initial consultation, we focus on your specific situation. We are aware that every legal matter is different, and we create a personalized strategy that works with your needs and goals. Our staff at Arnold & Stafford, Attorneys at Law, works as a team with you so that you always know where your case stands and what we are doing on your behalf. In criminal cases, our law office staff makes itself available 24 hours a day, seven days a week to address any immediate needs you may have. We hold licenses in Georgia, Florida, California, Hawaii and Iowa.